Bengaluru (Reuters): A dip in rice export prices as the rupee plunged failed to stoke fresh demand for the Indian variety last week, but potential orders from the Philippines and elsewhere could provide fresh impetus to markets in Thailand and Vietnam. In top exporter India, rates for 5% broken parboiled rice < fell by $3 to $386-$390 per ton last week. The Indian rupee has fallen over 10% in 2018, hitting a record low on Thursday, increasing exporters margin from overseas sales. “Right now, demand is weak. Even after the recent price fall, African buyers are not active in the market,” said an exporter based at Kakinada in the southern state of Andhra Pradesh. India’s rice exports in April-July edged up 1% from a year ago to 4.15 million tons on upbeat demand from Senegal, Benin and Iran, a Government body said. In Thailand, a stronger domestic currency saw benchmark 5% broken rice quoted at $393-$395, free on board (FOB) Bangkok, narrowing slightly from last week’s $390-$395, traders said. “We heard nothing about any new deals but some exporters are expecting things to pick up next month from markets in this region like the Philippines and China,” a Bangkok-based trader said. The Philippines will import an additional 132,000 tons of rice to boost stocks in southern provinces, where prices have surged in recent weeks due to limited supply, its agriculture minister said. The Philippines, one of the world’s biggest rice importers, usually buys from top producers Thailand and Vietnam. In Vietnam, rates for 5% broken rice remained unchanged at $395-$400 a ton, but prices are expected to pick up over the coming weeks. “The summer-autumn harvest has come to an end and we have heard about new orders from regional customers,” a Ho Chi Minh City-based trader said. 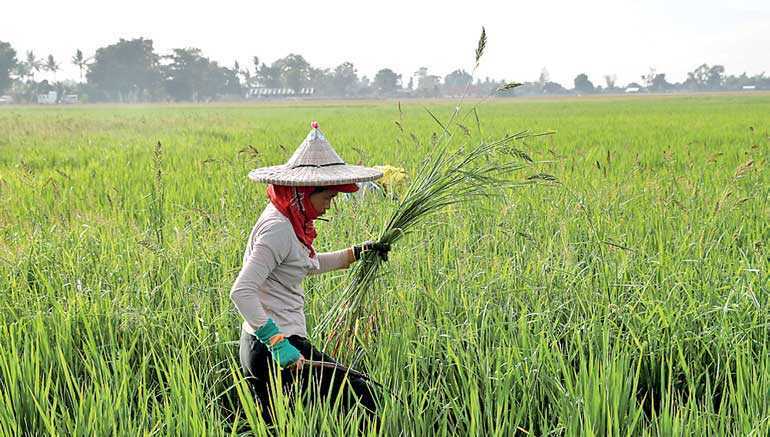 The government’s General Statistics Office said farmers in the Mekong Delta provinces have started growing rice for the autumn-winter crop, but prolonged rains are slowing down sowing. Meanwhile, rice imports from Bangladesh are expected to fall to 600,000 tons in the 2018-19 marketing year, the US Department of Agriculture (USDA) said in a report in August. “The high rate of import duty may deter imports and increase paddy prices indirectly, but it also may affect prices in the retail market and transfer the burden to consumers,” the report said. Bangladesh, which had emerged as a major rice importer since 2017 after floods damaged its crops, imposed a 28% tax on rice imports to support its farmers after local production revived. Bangladesh imported a record 3.9 million tons in 2017-18, food ministry data showed.